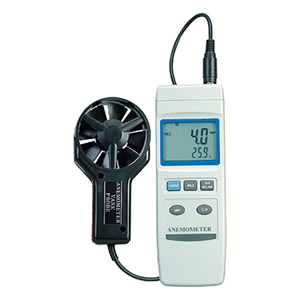 The HHF802 air velocity meter is an economical solution for any air flow application, such as, air conditioning and heating systems, wind speeds, balancing, and environmental testing. The portable HHF802 provides fast, accurate readings with digital readability and the convenience of a remote probe. The combination of low friction vane anemometer and standard thermistor delivers rapid and precise measurements. The microprocessor circuit assures the maximum possible accuracy and provides special functions and features.